In 1992, when Vesna Maric was 16, she had to leave her home and parents (Croat mother and Serb father), take a bus ride across Europe along with her sister, and other women and children to reach Britain. She was told she would return within six months once the trouble at home was over; she remained in Britain for the next four years as a refugee. 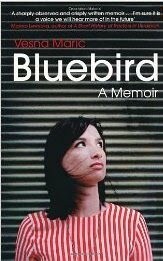 Bluebird, A Memoir describes in an unsentimental manner Vesna’s journey to Britain and her life and growing up in a foreign land. It’s the unsentimental part of the narrative that is refreshing about Vesna's memoir. Generally speaking all tales of displacement tend to be maudlin and those by refugees more so, perhaps because a refugee experiences displacement more sharply than an immigrant does. Unlike an immigrant, a refugee is an unwilling relocater. Unwilling to leave the baggage – both physical and emotional – behind at home and cheerfully attempt to resettle in a new land. Vesna’s account of her relocation is humourous and realistic. She narrates her circumstances and the situations with dry wit. She tells the stories of her compatriots with empathy and without the hyperbole. We are fascinated by a series of lovely and loving people – mostly women – who try to continue living their lives as normally as possible, despite having turned refugees. However, while describing these vignettes, Vesna never loses sight of the poignancy of their predicament, and by not getting too heavy handed, she succeeds in bringing to life the human tragedy of the Bosnian war. Granta published Bluebird in the UK in January 2009; Anansi Press (www.anansi.ca) is the distributor for Granta in Canada. 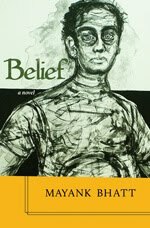 The paperback edition is on sale in Canada from this month.